Steely Dan guitarist Elliott Randall will be making an appearance at the Great British Guitar Show this weekend, in addition to an already packed line-up of players. Randall will be appearing on the Madison And Fifth stand on Saturday 23 February between 11:30am and 3:30pm. The Steely Dan man, who has also played with the likes of Carly Simon and Peter Frampton, joins the likes of shredder Alex Hutchings, blues rocker John Verity, up and comer Ollie Rudge and 'live kareoke' outfit Rockstar Me, who will give visitors to the show a chance to jam or sing a song of their choice. 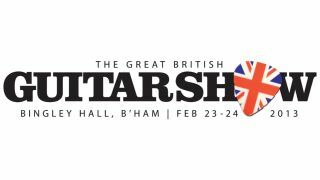 For more information on the Great British Guitar Show, including directions to the New Bingley Hall venue and ticketing information, visit the official website.